Like a researcher, a chef is always on the search for something that can satisfy the flavours of everyone, from the most humble to those more delicate palates. The most important day of your life should be nothing short of extraordinary! Bianco’s is the ideal partner to look after the cocktail service, let us help you kick start your wedding party in style! Professional Cocktail Bartenders who are tailored to work any event from weddings to private parties and corporate gatherings. 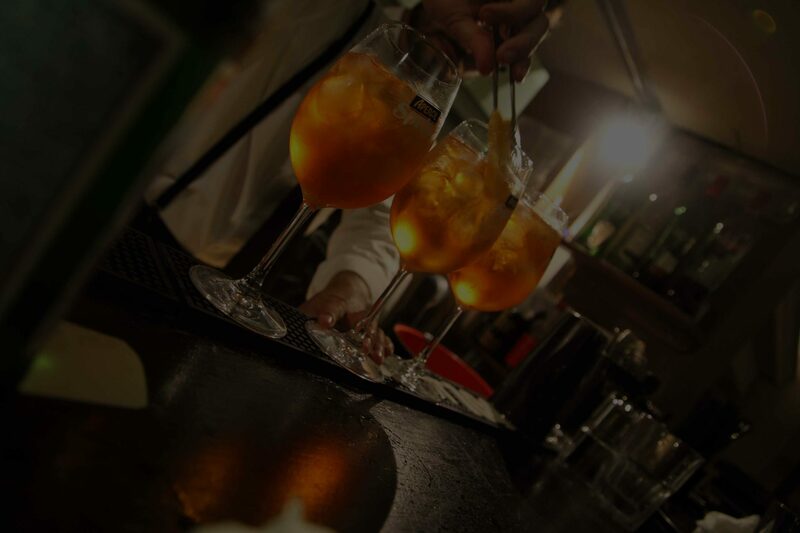 We are certain to create a 5-star atmosphere when it comes to serving amazing cocktails and operating the bar service. 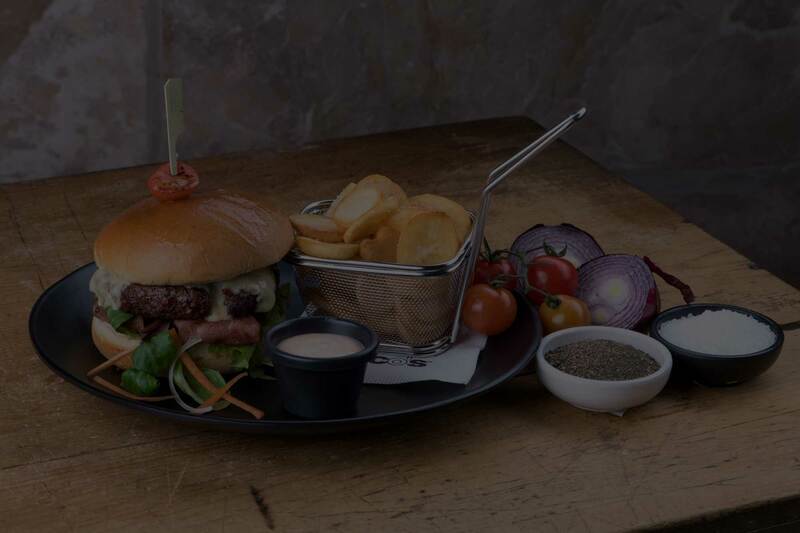 Let us handle the stress of organising the bar service for you so you can concentrate on things that matter. 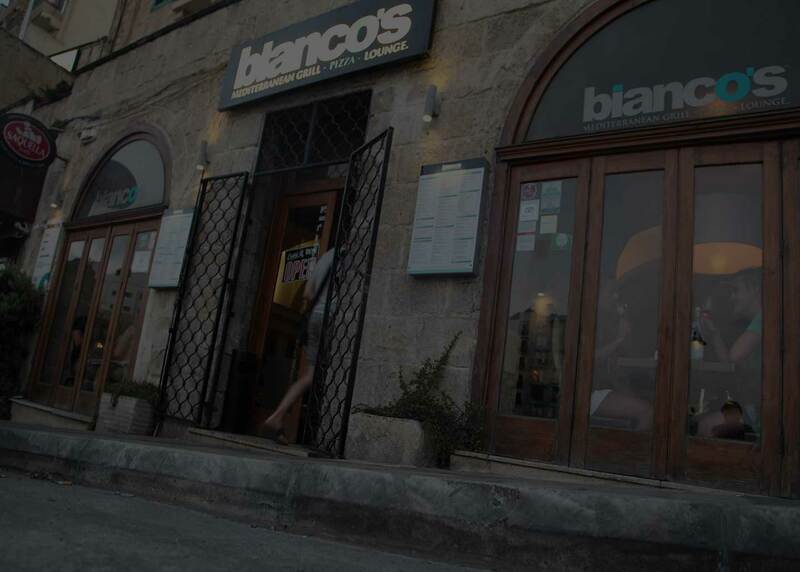 We deliver throughout Sliema, St Julian’s and the surrounding areas, Monday to Sunday 7 days a week, Lunch and Dinner!. 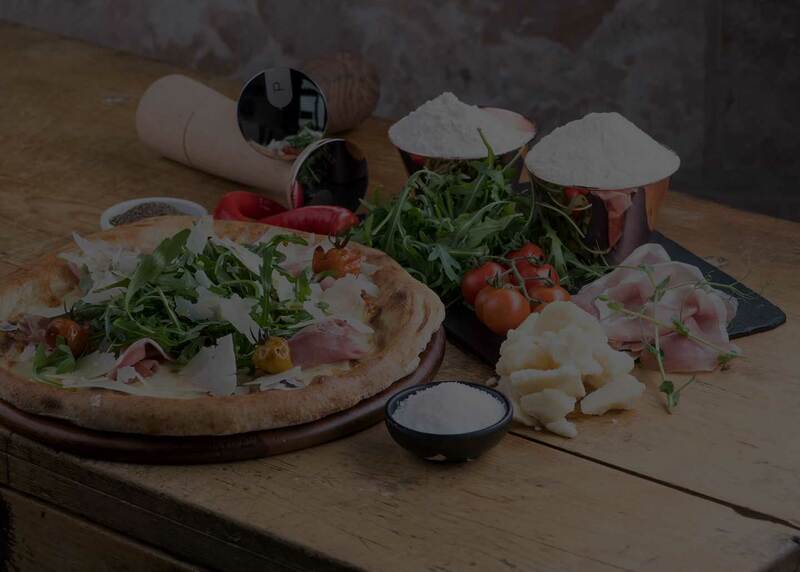 We relish the opportunity to bring a slice of the Bianco’s dining experience to your home. The colour is an elegant golden straw yellow with amber highlights. Its aromas are radiant, revealing bright yellow-fleshed fruits, honey, floral nuances and elegant blond notes. The palate is seductive, richly flavourful and smooth combining generosity and subtlety, fullness and vigour, followed by a delicately fresh crispiness, to reveal the magical balance of Champagne. With its very high proportion of Pinot Noir, one is almost tasting a Blanc de Noirs. A Champagne with a fine aromatic richness, it opens with aromas of stoned fruits such as white vineyard peach. A spicy hint announces a powerful complex palate. Lovely complexity with a characteristic note of quince jelly. Off-dry, medium-bodied. Refreshing with intense ripe fruit flavours of pears and tropical notes of bananas and mangos. Highly fruit driven with sweet tropical fruit flavours of papaya, mango and passion fruit complemented by some floral and herbal notes of mint. A dry white wine with aromas reminiscent of stone fruit: peaches and apricots underlined by a hint of green apples. Well balanced with refreshing levels of acidity. This medium bodied white wine has distinct fruity aromas of citrus and apples bursting into zesty fruity flavours on the palette and ending with a pleasant lingering finish. Delicately floral with subtle hints of crisp citrus, this a silky, remarkably elegant Pinot Grigio, the perfect accompaniment to first courses and fish. The nose is delicate and elegant with its notes of bananas, pineapples, white flowers, and candied fruit. The palate is balanced and harmonious with good flavor persistence and mineral notes on the finish and aftertaste. The nose presents a fresh and fruity bouquet with notes of white-fleshed fruits (peach) combined with scents of aromatic herbs. On the palate we find the evident fruity note again, refreshed by agreeable sapidity. It finishes with good persistence. Fresh and flowery to the nose, of good intensity and persistence. In the mouth it is dry, pleasantly fresh and long-lasting. The final sensation that reminds almonds is typical of the denomination. An intense, aromatic perfume of ripe pears with a honeyed, almond note. On the palate, this wine has stone fruit flavours of yellow peaches, a crisp, mineral character, a mouth-filling body and good length on the finish. Fresh citrus and green apple notes. Versatile fruitiness and refreshing acidity. A medium sweet Riesling balanced with a fresh, crisp acidity and superbly versatile minerality. Fragrant bouquet with notes of minerals that blend with a touch of grapefruit and mandarins. Lively in the mouth with fruit sensations that reveal a fresh acidity. Very pleasant fullness and good length. Fresh and fruity, with aromas reminiscent of white currant, citrus fruits and “veltliner-pfefferl" or white pepper. The flavors on the palate are consistent with the aromas and the finish is fresh and crisp. A classic Grüner Veltliner from Kremstal, not too heavy but not too light. Fresh and clean on the nose with herbal and lime peel notes. The palate is fresh, alive and youthful. This wine has a pale and bright gold colour. A clean, mineral and perfumed nose, with flinty flavours of grapefruit. Fresh and crisp on the palate, elegant and mineral with flavours of citrus peel. A delightful expression of the region, its crisp and extraordinarily fragrant, filled with striking floral aromas of orange and jasmine blossom. On the palate, vibrant notes of peach, ripe pineapple and fresh herbs lead to a refreshing zing of acidity at the finish. It screams tropical fruit in a glass. An array of white pear and melon with an undertone of quava. The synergy between the acid and the fruit makes this wine a super quaffer. An unpretentious wine that over delivers on the nose and palate. A typical Marlborough Sauvignon Blanc vibrant and fruity with aromas of pineapple, gooseberry and elderflower. The wine is intense and elegant with a notable bouquet of tropical fruit like passion fruit and grapefruit, which combine with fresh notes. On the palate it is very fruit with an inviting acidity. This fine and fruity Rose’ has a sweet intense aroma reminiscent of apples & strawberries. It is medium dry, medium bodied. Hints of wild strawberries and gingerbread on the nose. Fresh, delicate and velvety on the tongue with notes of strawberry, raspberry and sweet spices. Bright and crisp, with hints of citrus and juicy red fruit, the wine’s fruity aromas and flavours come alive through watermelon and floral notes. This medium bodied wine displays aromas of a black fruit character: black berries & blackcurrants with robust mouth-coating tannins and a velvety lingering finish. This full bodied red wine has intense fruity aromas of Amarena cherries, apricots and chocolate with light tobacco undertones. On the palate it is silky and smooth with velvety tannins and a pleasant lingering sweet finish. Produced entirely from hand-picked grapes harvested in family owned vineyards in Gozo, this full bodied ruby red wine is very delicate on the palate, with soft tannins and soft fruity aromas reminiscent of raspberries and plums. Delicate aromas of plum and Morello cherry, robust and full-bodied in the mouth, slightly tannin-rich with a dry and flavourful finish. On the nose, delicate notes of cherries and ripe red fruit, typical of Sangiovese and Syrah, mingle with the characteristic balsamic sensations of Merlot. The palate is ample and supple and the finish and aftertaste are fruity. Offers a fruity bouquet with scents of blackberries and blueberries combined with a light spicy note of black pepper. The palate displays good structure with suave tannins and pleasant freshness. A soft red, versatile for food pairing, perfect for every day. Spicy and balsamic aromas of pepper and liquorice with hints of pansies and sour cherries. A well-equilibrated wine revealing a clean and fragrant taste. Lots of Chianti Classico characteristics with violet and mixed berries flavours. The bouquet has all the typical aromas of the grape Nebbiolo showing the dried fruit, flowers, spices, sweets, and the typical delicate herbaceous aromas. In the mouth, the perfect balance between tannins, freshness and the alcoholic content, offer truly powerful sensations but absolutely elegant and pleasing. This wine suggests a complex aroma of wood fruits and white flowers with chocolate and coconut tastes. On the palate it presents a well-balanced and rounded flavour with a rich taste of fruit and spices. A fresh, fruity wine with a lovely attack, bringing a reminder of red-berried fruit mingling with the coconut and vanilla aromas from the oak. Full and supple with a long finish. It has plenty of lush red cherry and cranberry fruit on the nose, a smear of vanilla from the new oak that will be subsumed by the time of bottling. The palate is medium-bodied with slightly rustic tannin. The bright aromas of this Zinfandel brim with blackberry jam, cherries, black pepper, and spice. Vanilla and toast flavours add life to this full-bodied wine that finishes with soft, velvety tannins. This ripe and plush Malbec features dark fruit flavours of blackberry, blueberry and black raspberry and with supple tannins. Intense red fruit aromas with cassis and vanilla notes. On the palate it presents itself as luscious wine with elegant, sweet tannins and a lovely long finish. With a finely spiced nose of blackcurrant and cherry, it reveals silky tannins and generous red fruits flavours. Subtle and stylish with a hint of spiciness which originated from the cool climate grapes. Intense plum, violets, mulberry and black fruit flavours. Maturation in third and fourth fill French oak barrels add a soft complexity with well-integrated firm tannins. This sweet, fragrant, lightly sparkling wine has vivid aromas and flavors of peach and apricot on a light body with a delicate finish typical of Moscato d’Asti. Notes of musk, orange flowers, sage and honey on the nose. The straw-yellow wine has a pleasantly sweet taste that is very well-balanced and features honey and just-picked grapes. The most natural combination The perfect balance of the taste of pear and dry apple cider. TASTING NOTES:Color: golden yellow and brilliant. Bouquet: deep pear and citric notes that add great freshness. Who has never been blackberry picking? A touch of blackberry to remind you of those trips to the countryside.